It doesn’t mean anything good. No, your furnace is probably not going to explode. In fact, that’s not at all what’s going to happen. But a booming furnace, or a noisy furnace period, is a definite sign that you’re in need of a professional furnace repair in Salt Lake City, UT. Of course, when we say this, we are referring to gas-powered furnaces. All furnaces today are built with safety in mind, but there is always a risk when you’re utilizing natural gas for an appliance in your home. Keep reading to learn more about what booming means for your gas furnace. Posted in Heating | Comments Off on What Does It Mean If Your Furnace Booms? With winter winding down but temperatures still keeping our furnaces on full-force for now, it’s the perfect time to take care of any small repair needs that might have cropped up, so that you’ll know your heater is fully functional for next year. Functionality is just part of the equation, however. You want to ensure your furnace is safe, too. The only way to guarantee this is the case is to stay on top of any Salt Lake City, UT furnace repair needs that come up. Hopefully, you had maintenance done before this winter began, and if you were alerted to any service needs you took care of them right away. There is one in particular that should definitely never be delayed—and that is fixing a cracked heat exchanger. As the heating season progresses, you’ll find yourself running your heater, furnace or otherwise, more and more regularly. Hopefully you’ve had your heater professionally maintained prior to this point, so that it is in the best working condition possible during its heaviest usage time of the year. Even if your system was well-tuned up, though, there is always a chance that you’ll encounter problems of some sort over the course of the heating season. Should this happen, you need to recognize the problem as soon as possible so as to have the issues resolved promptly. Failure to schedule prompt furnace repairs in Holladay, UT can lead to compromised comfort, and even further damage to your system. Contact Design Comfort if you have any heating system concerns. Heating Tip: What To Do If Your Furnace Keeps Turning On or Off? Furnaces are designed to last decades without major problems so long as they are regularly maintained. They typically work so well, in fact, there is a danger of taking our comfort for granted and skipping the annual service for a year or two as time rushes by, waking up suddenly to a dark night and no heat. In retrospect, a preliminary indication of trouble could have been the furnace continually turning off and on in short bursts, something that was tugging at your senses, but not strongly enough to really catch your attention. Your Salt Lake City furnace constantly turning on and off could often be a direct result of poor airflow through the system. Heat builds up and the detectors sense the proper temperatures have been reached and automatically shut down. In the room, the thermostat calls for more heat and starts the cycle over again. A relay switch or control valve may also be worn and working improperly. A crack in the heat exchanger might fuel the flame to burn too hotly and cause the sensor to misinterpret the information and shut down. These problems not only impede the distribution of heat to the living spaces, decreasing comfort, but also create intense wear on the motor and controls, threatening the very life of the appliance. Restricted airflow can be caused most often by a dirty or clogged filter. At the furnace, there is usually a panel that can be removed to check, clean or replace the filter. It is typically a single or series of cardboard and screen panels approximately 1′ by 2′, but varies by manufacturer and furnace output. A vacuum to pull lint free or compressor to blow it clean are the recommended tools to use a few times each year. It is a good idea to change the filters at the beginning of each heating season. The belts are also easily replaced. The fan belts for the blower may also be worn loose and not pushing the air hard enough to get through the filters. It is a good idea to check them regularly as well. When in doubt, call the experts out. Scheduling an annual inspection and service with Salt Lake City HVAC professionals Design Comfort takes the worry out of living in a furnace heated home. Besides the rite of safe passage for your peace of mind, trained mechanics can spot the defects and give you the best assurance of a long life of comfort and warmth. 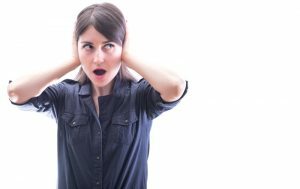 Posted in Heating | Comments Off on Heating Tip: What To Do If Your Furnace Keeps Turning On or Off? Whenever you notice furnace air flow problems in your Salt Lake City home, you can usually do a little troubleshooting and solve the issue on your own. Most air flow problems can be fixed easily and quickly. Here are a few guidelines to get you started, but if you need help or notice other problems with your furnace, call a qualified Design Comfort heating technician. Checking the furnace filter is the first step you should take when there are any issues with your furnace, but especially with air flow problems. If a filter is dirty enough, the furnace will not come on at all. Ultimately, a clogged or dirty filter restricts the air flow, and this is the source of air flow problems ninety percent of the time. Once you’ve replaced or cleaned the filter, check your cold air returns, which are the vents that draw in the cold air in forced air systems. When a cold air return is blocked by furniture or other obstructions, they cannot draw in enough air to allow the furnace to put out an adequate amount of hot air. Make sure they are open if nothing is blocking them. Next, check your supply registers, which are the vents that supply the warm air, and make sure they are open as well. Whenever your heat is on, all of your supply registers should be open. Closing some vents will not increase the air flow in other vents in the house. Closing off one or two in areas where heat is not always needed will not hurt your system; however, when you close too many supply registers, it can cause problems with the ductwork and eventually damage the furnace if the air pressure is not correct. If you continue to experience air flow problems, call a certified heating technician at Design Comfort. There could be a more serious issue, or if you have a newer furnace, your original ductwork could be the wrong size for that furnace model. If your Salt Lake City home’s furnace isn’t lighting properly and your family is starting to suffer because of it, there are a number of possible problems you should check for before calling a professional. Some of these issues can be fixed quickly by you while others may be signs of a serious problem that needs professional attention right away. 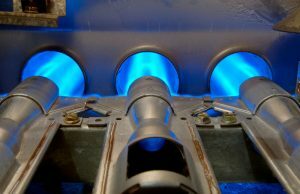 If you have a gas furnace, the first step is to check the pilot light and ensure it is still working properly. If the pilot light is still on but goes out when you try to light the furnace or simply won’t stay on when you relight it, you may need to have the gas valve replaced. In some cases, it is as simple as the pilot light not being large enough and the gas blowing out the light. This happens when gas enters the chamber and doesn’t ignite right away. When it does ignite, which happens after more gas enters the chamber, the extra force of the ignition will blow out the light. This is still a problem and should be inspected to ensure you don’t have any potential gas related issues. If you don’t have a pilot light or the unit still isn’t lighting, it may be an electrical issue. Electrical ignitions for gas furnaces should spark when the thermostat is turned on, so if it doesn’t you know that the switch or relay are bad. If you smell gas or anything similar in the room where the furnace is located, you should immediately turn off the unit and call your gas company, followed by a technician. There could be a leak causing low pressure that results in your pilot light going out. Whatever the case, you need someone to look at it immediately. Your furnace should always turn on when you flip the switch and if it does not, assume there is a problem. If you cannot find the problem yourself and easily fix it, you should call a Salt Lake City heating contractor. The risk inherent in an improperly working furnace (especially gas or oil) is too high to ignore. If your Salt Lake City home is cold, many blame the furnace for not bringing up the warm temperatures or they blame the thermostat for not working right. It may very well be a thermostat issue – often caused by the location of the thermostat – that is causing the problem. However, sometimes root cause is found in the furnace or ventilation system. Your indoor environment may be contributing to a seemingly slow-moving furnace. Your furnace may be working too hard to keep up with the heat demand because of an excessive build-up of dirt or debris on the filter or around the moving parts, such as the motor or fan belt. The most obvious thing to do is to keep the airflow unobstructed and keep all working parts clean. First of all, you should regularly check your furnace filters and if they are dirty, replace them or clean them. Disposable furnace filters are relatively inexpensive and come in a variety of sizes and media ratings (ratings determine what size media is used and its ability to trap certain sized particulate). You can buy these individually or in bulk from a number of different resources. It is a good idea to replace the filters every three-six months. Mesh filters can be removed, cleaned and reinserted. Like replaceable filters, mesh filters should be checked on a regular basis and then cleaned at least every three months. You can remove the access panels to your furnace and inspect the components for any build-up of dust, dirt, or debris. Using a vacuum with an extension hose usually is all it takes to clean up the area. Other reasons for poor heating performance include dirty or blocked ductwork. The harder your furnace has to work to push air through the ventilation system, the longer it takes to bring the heat up. Make your furnace work less and keep vents clear and ductwork clean. Finally, the reason your furnace isn’t producing enough heat may not be the fault of your furnace at all – you may have a leaky house. But that’s a whole different story. How Do I Check a Gas Furnace Draft Pressure Switch? There are many reasons why a furnace stops working and in many cases, a Salt Lake City homeowner can perform some simple diagnostics to pinpoint the problem. Finding the problem is one thing – fixing it is another. When in doubt, don’t try it yourself. Call a qualified professional. But let’s look at one possible problem and solution you may be able to perform yourself – testing the draft pressure switch. The draft pressure switch on a gas furnace allows an electrical current to pass through to ignite the furnace. The pressure switch monitors the draft conditions and won’t allow the furnace’s gas valve to open unless draft is correct. If the switch is malfunctioning, so too will (or will not) the furnace. The best way to locate the switch is by consulting with your owner’s manual or by going online and simply typing in the words “gas furnace draft switch.” It is identifiable by its round size and is bolted to the outside of the furnace. It should be nearby the draft inducer motor because the two are connected by a metal tube. The tube may sometimes be the culprit, too. A tube that is blocked with condensation may cause the switch to go bad. To check for proper function, first turn off power to the furnace, either by shutting down the ‘on’ switch at the furnace or shutting off the circuit breaker. Use a volt ohm meter to check if the switch is opening and closing properly. Start by zeroing out the meter’s probes by touching the tips together. Using the dial (could be analog or digital), set the meter to 24 volts. Ground the black probe by attaching it to any metal part of the furnace. Then place the end of the red probe on the metal tube connecting the draft pressure switch to the draft inducer motor. If the switch is working properly the meter should read at least 24 volts, or very near that. If the reading is short of 24 volts, the switch is not working correctly. At that point you may decide to replace it or call a professional to do the task (recommended). Always remember that there are many sources which will help you diagnose and repair a problem, especially those available through the Internet. If you search YouTube.com you will find many videos advising you on how to repair certain components. Use all of the resources available to you and keep the phone number of a qualified and professional heating and cooling contractor nearby. Posted in Heating | Comments Off on How Do I Check a Gas Furnace Draft Pressure Switch? What if the heart of your Salt Lake City home’s heating system – the furnace – stops working? The warm air that used to flow from your vents has been replaced by a chilly draft. It isn’t time to panic, but it is time to take action. Before you do anything, determine why the furnace stopped working. It may be something as simple as a tripped circuit breaker in your electrical panel. Check the circuit breakers first.